Just saw this on Sonya Heaney’s excellent blog. A perfect and unique gift for all book loving ladies out there. The “Beloved Dark Blue Book Necklace” can be bought here. I really love the colour! Travelling through the States I stumbled across this abandoned motel on the edge of a tiny town in West Virginia. It seemed odd, that in a cute little town with artisan shops and traditional bars, a motel beside a picturesque river on the edge of a national park could fall into disrepair. Old and crumbling, with broken windows and the door to the reception area just slightly ajar, the place looked like it’d been empty a while. It got me wondering: what happened here? I have to admit I was rather unsure how I’d find this book. On the cover is an endorsement from Stanley Kubrick. It reads, “Probably the most chilling and believable first-person story of a criminally warped mind I have ever encountered.” This made me worry that the book might be a little too much for me to handle. But I didn’t need to. Because although Kubrick is absolutely correct: the story is both chilling and believable, and there is no doubt that the first-person narration of Lou Ford is decidedly warped. It’s also brilliant. Utterly brilliant. 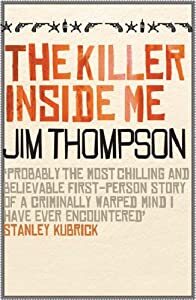 A true story of gritty noir, Thompson’s honest and darkly charming style pulls you into the story and gets you to care about Lou Ford, even though you know things are going to get bad. And despite the fact that you know “the sickness” is coming, and that Lou is preparing to do some very bad things, you can’t help but want to read more. 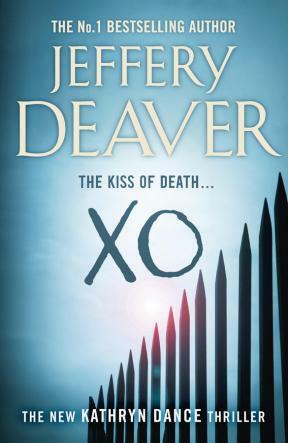 But, let’s be clear, this isn’t a first-person narrated killer like Jeff Lindsay’s Dexter. Lou Ford’s not doing anything that’s justifiable or righteous in any way. And when the bad stuff happens, although you knew it was coming all along, it slams into you quicker than you think. Lou’s actions are brutal and horrifying, yet you find yourself wanting to stay with him and keep following the story to find out where it leads. Because warped and wrong as what Lou does is, he’s a compelling and complex character that you can’t help but keep reading about. Written in 1952, and adapted to film in 1976 and 2010, Jim Thompson’s novel still seems fresh and contemporary. For me there’s something wonderful about the physicality of a paper book. 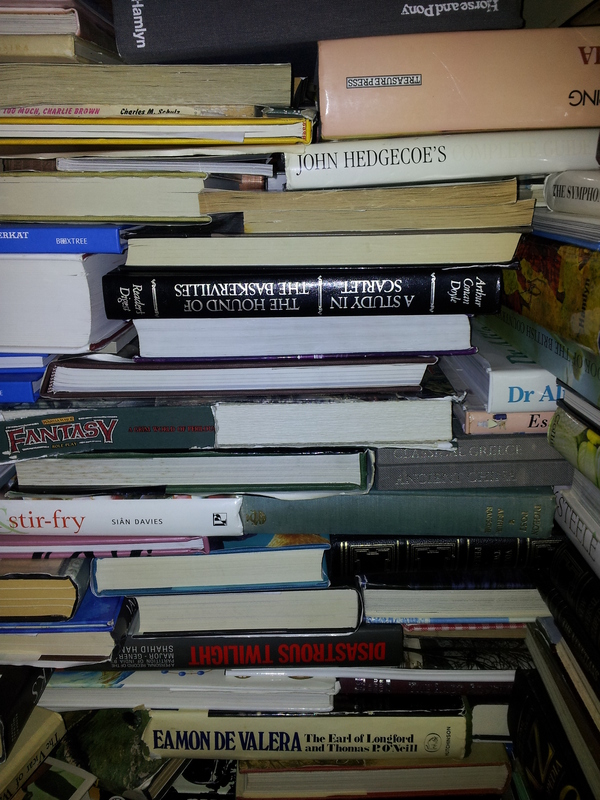 Perhaps it’s because of fond memories of childhood Christmas’ and treasured hardbacks given as gifts. Or perhaps it’s because from the moment I could read a book I’ve always had at least one on the go at any time. I just can’t imagine not having a current book (and a long list of ‘to reads’). 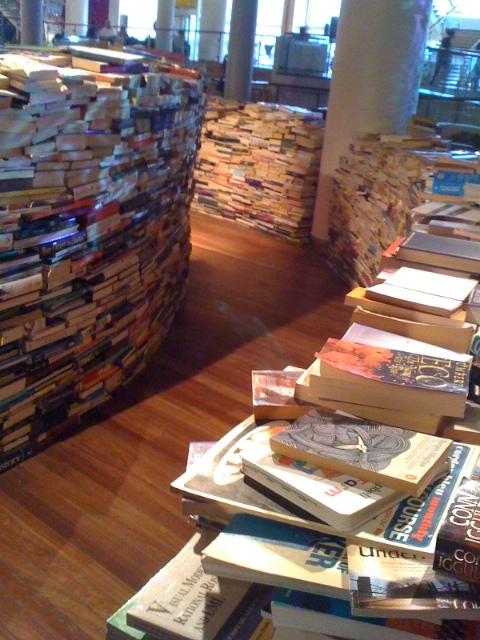 So, that said, you can imagine how excited I was to visit the book maze installation at Royal Festival Hall, London, a couple of weeks ago. The maze was made up of Braille books and second-hand paperbacks and hardbacks of all genres from crime to self-help via chick lit, academic textbooks and romance – to name a few! As I navigated the passages between the walls of books, I spotted novels by authors I love and authors I’d love to read. In fact, I could have read them right there because the maze was designed to be interactive: see a book that interests you, pick it up and start reading … wonderful. When finally, after flicking through many books along the way, I reached the end I was delighted to find stories about one of my favourite characters, written by the author that first got me interested in the crime thriller genre, displayed on the final twist of the book wall. It was a hardback copy of Arthur Conan Doyle’s Study in Scarlet and Hound of the Baskervilles. And so, in the end (and the beginning for me) there was Sherlock. Struggling to find time to read? It’s perfect for all avid readers. 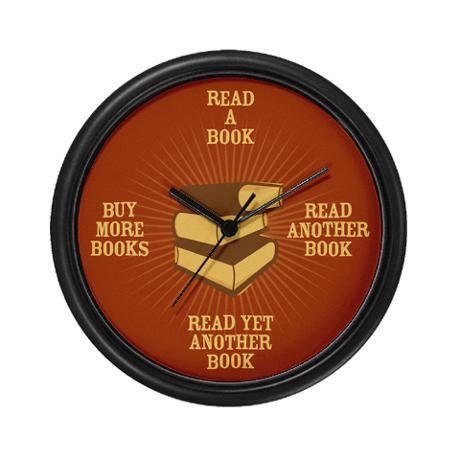 After all, now it can always be ‘book o’clock’! Big thanks to the fabulous Novelicious blog (http://www.novelicious.com/) for putting me onto Café Press.